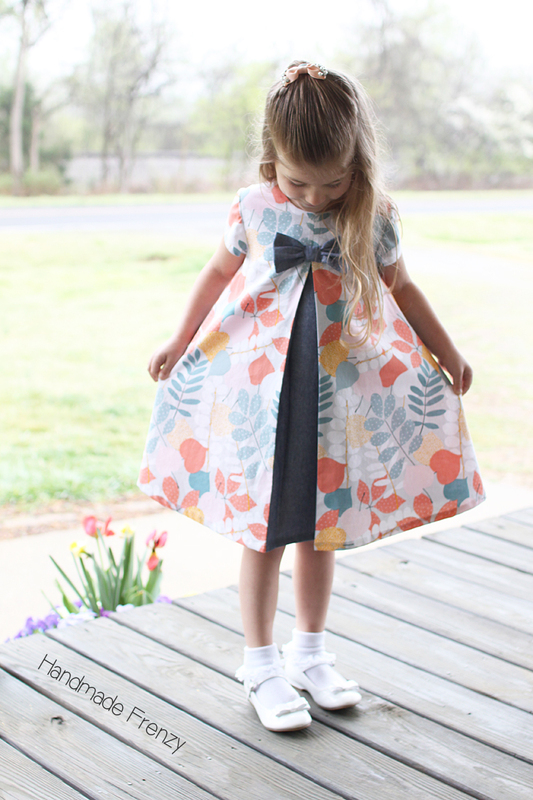 This year's Easter dress was brought to Miss O by, the Eleena Dress and THIS gorgeous fabric that I was ever so fortunate enough to win in a giveaway from Brooklyn Pattern Company! I couldn't believe my luck, especially since I just on a whim decided to enter because I saw Erin's dress and thought it was gorgeous. I wasn't completely sure what I would do if I won, but as soon as I opened the package I new it was destined to be an Easter dress for Olivia. 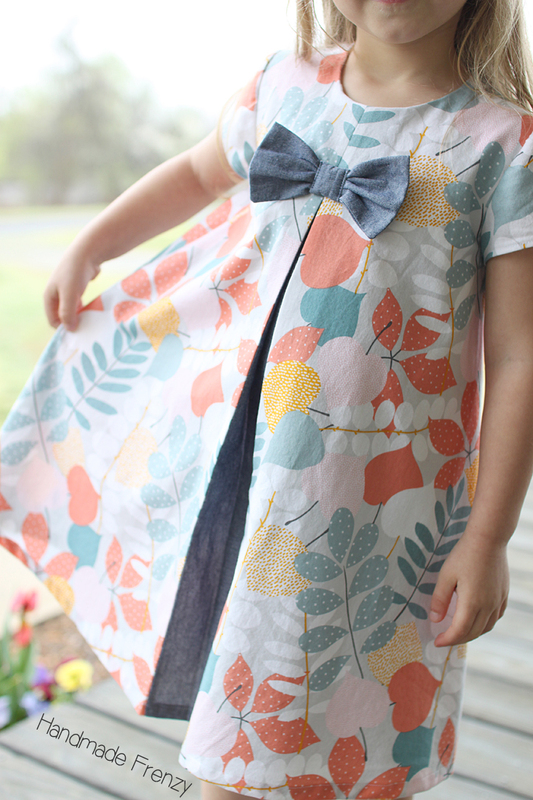 All right, more about this lovely, lovely dress!! 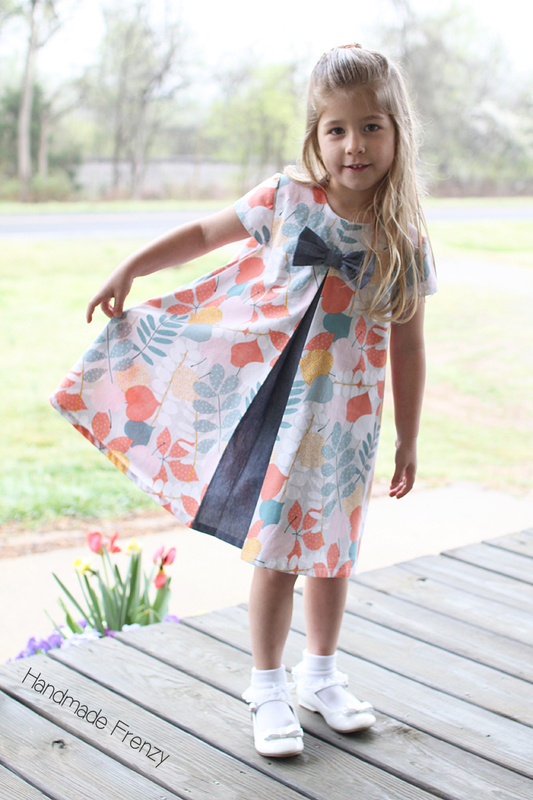 I kept trying to decide from patterns I already had, which one to use for the Easter dress, and trust me, I have plenty to choose from that would have been great. But I just could NOT get the Eleena Dress out of my head! 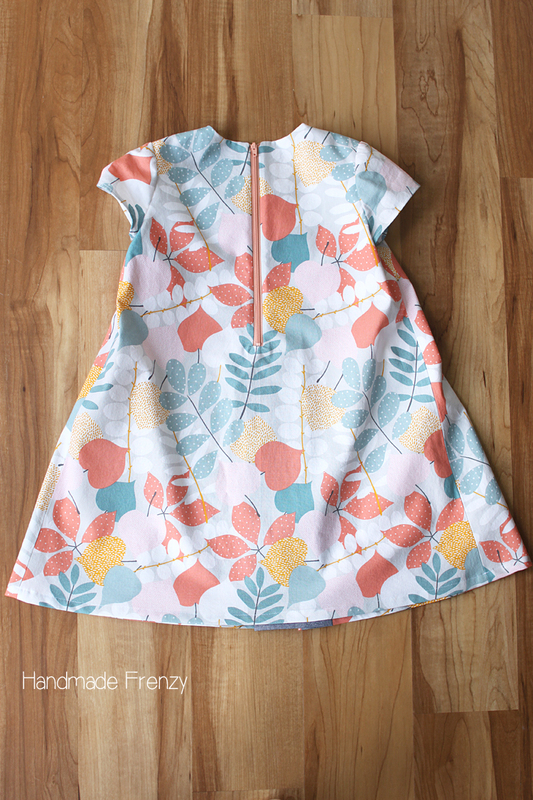 The simple design was just too perfect to showcase the fabric, and I really wanted to let it speak. So the Eleena Dress it had to be! That teeny pop of chambray set it off perfectly and highlighted the fabric. Going in to the dress making process, I knew I also absolutely had to add that bow. 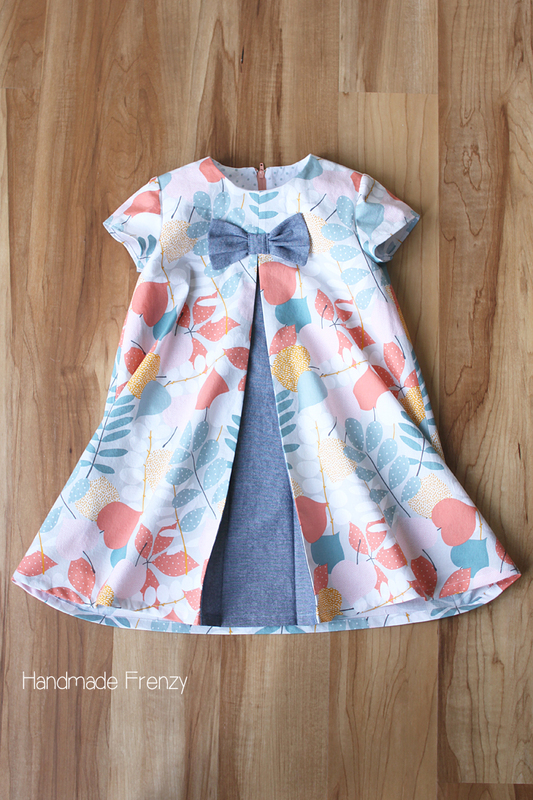 The bow was unashamedly copied from Creative Needle and Thread's version. I would say that dress is what tipped me over the edge with the Eleena Dress. All the heart eyes!! I made one other small change to the pattern. Instead of using the invisible zipper that the pattern calls for, I modified it so that I could use this regular zip that was in my stash. The color was too good not to show off! 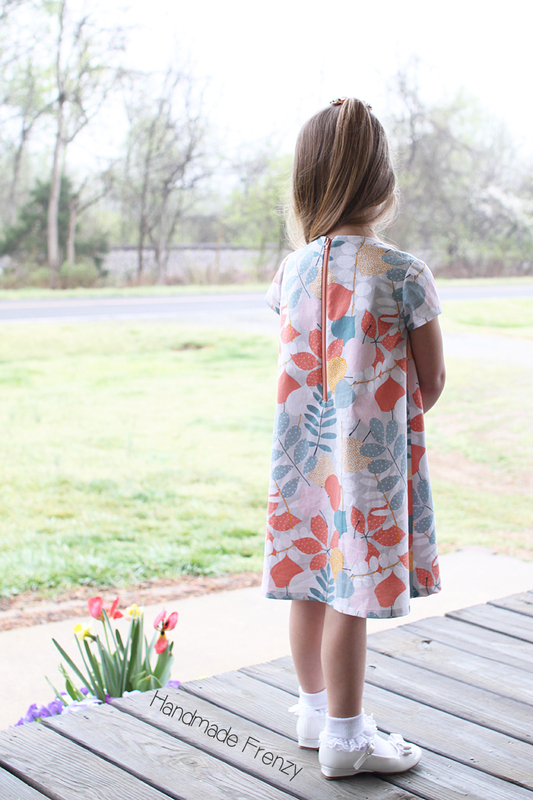 To do this, I simply eliminated the center back seam allowance and cut the back of the dress on the fold and then proceeded with putting in an exposed zipper. Here is a really good tutorial for installing an exposed zipper! 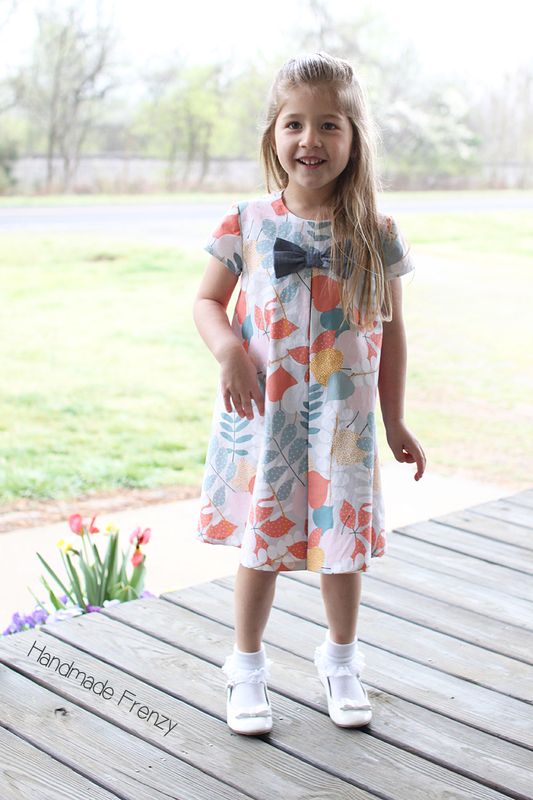 I made the dress in a size 3 with size 4 length, according to her measurments. The fit is absolutely spot on! 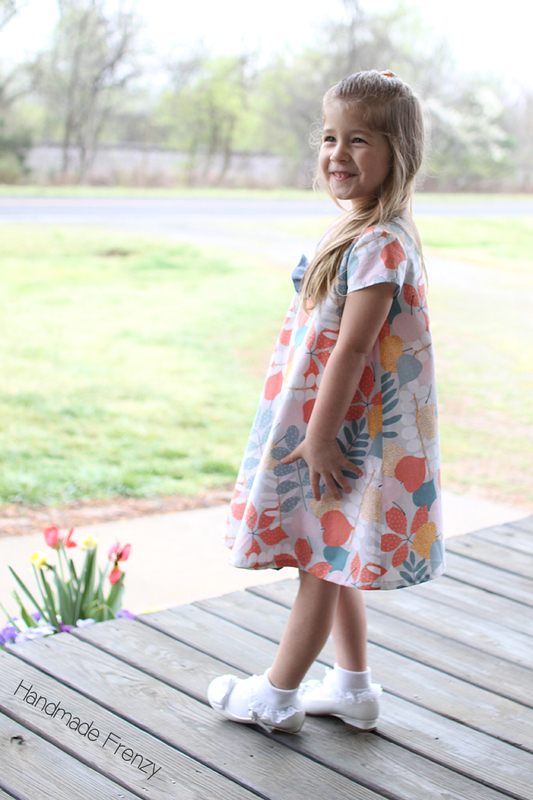 As are all of Olga's patterns that I've had the chance to sew up. I love the sweet A-line shape and those sleeves are perfection. As it turned out, the weather was a bit too chilly for shorts anyway, so we just coordinated them all and attempted at a sweet kiddo picture. 2 out of 3 looking at the camera and all almost smiling isn't too bad! 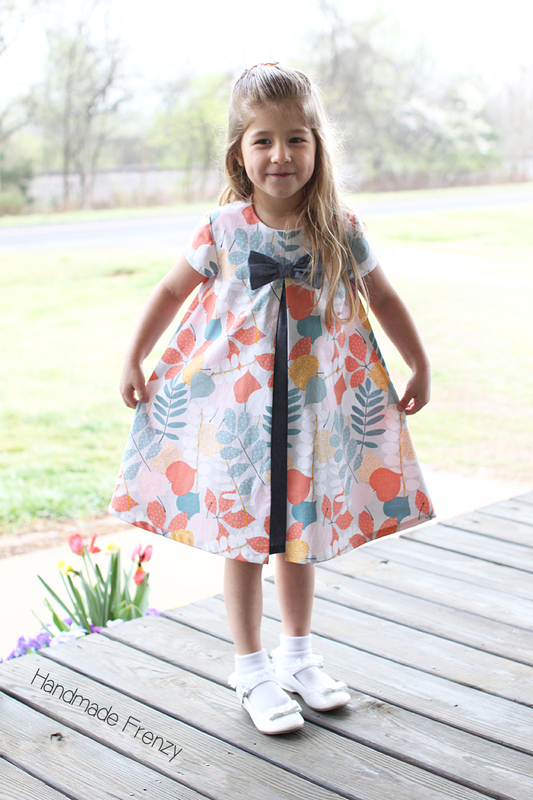 The dress is so sweet! Love the bow! I might have to copy that too! 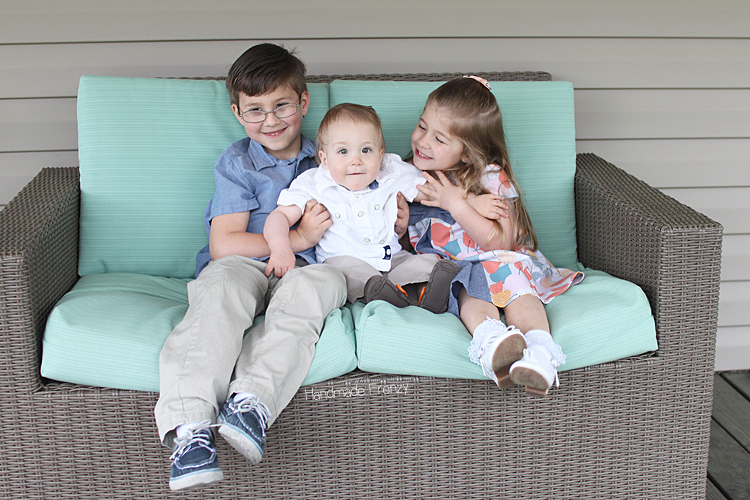 :) The picture of all the kiddos is just adorable! totally adorable. I love the bow!